A smart design enhanced by latest materials technology and advanced manufacturing. 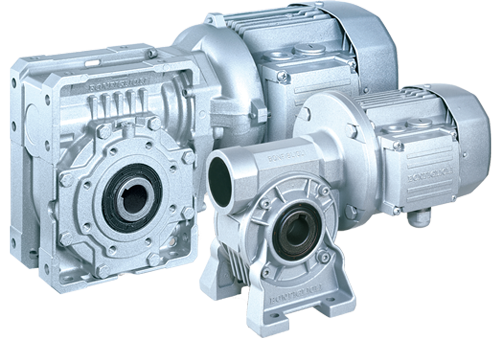 Wormgears of the VF and W series are milestones for the industry worldwide. They succeeded in combining uncompromising quality with state-of-the-art technology and renown price effectiveness. Absolute flexibility is achieved by the wide choice of mounting options, shaft configurations and motor interfaces, all offered as standard. The helical-worm and the double-worm versions, with or without the torque limiter, also enhance a highly versatile drive system.